Dr. Edythe Heus can condense what normally takes 3 and a half years of consistent functional medicine work down to 5 days during an Immersive. It is truly a life changing experience. Immersives are organized throughout various dates throughout the year, each focusing on either: Brain / Body, Pelvic Floor or Senior Vitality. They can also be arranged for groups such as organizations, families or friends. The maximum capacity for these events is six participants, facilitating a wonderful sense of receiving all the attention each needs to ensure transformational results that remain. Many have already experienced a decline in both cognitive and physical function and have been told there’s not much that can be done. That’s why we developed this immersive program to produce significant and lasting change in record time. This first program brings pioneers in the field of neuro-kinesthetic programming and medicine, to radically accelerate changes in cognitive function and physical health. For your brain and body to function at an optimal level, the communication between the two must be unrestricted and fully functioning. When an activity includes both physical and mental demands, the results far exceed what many think is possible. This immersive will improve: cognitive function, memory, balance and coordination, pain, anxiety and depression and overall energy, among other things. Clients experience cutting-edge treatment and exercise. These 5 days will significantly change your mental and physical performance, change the way you eat, and help you achieve a whole new level of health and well-being. The Pelvic Floor Fitness Immersive is designed for women to invest in bringing restorative health to their female reproductive organs, muscles, tendons and ligaments. The program focuses on lengthening muscles eccentrically and avoids concentric contracting like Kegels, which can actually hinder performance of the pelvic floor. RevInMo targets the multidimensional nature of the pelvic floor and all the directions it can generate movement. After this immersive, tangible enhancements to the function of the tissue in the pelvic floor result in improved elasticity, strength, control and sensation in this area. This leads to an improved libido while rehabilitating stress incontinence, decreasing pelvic pain, assisting in childbirth, as well as rehabilitating posture and balance issues. Dr. Edythe Heus brings her revolutionary system for aging health, Vitality for Seniors, now being licensed globally through Senior Living Corporation Meridian. Dr. Edythe has been featured in several major publications and on national broadcasts sharing her work with top-notch professional athletes, actors, actresses, stunt professionals and Broadway stars. She has been a great asset to professionals that highly interact with motion in their field and facilitates the foundation they need to keep using their body in challenging performances safely and regeneratively. 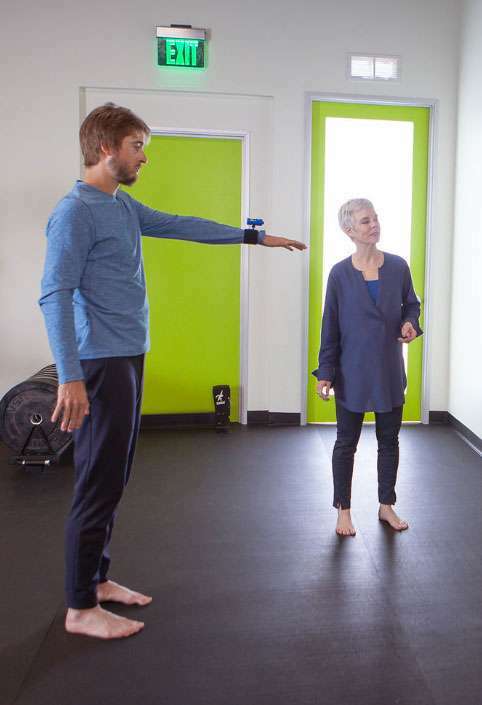 This immersive is dedicated to intermediate to advanced movement professionals and welcomes each to bring their challenges and specific needs to the table in order to create a customized treatment program as well as a movement program to take home and continue the work with ease.